The following is an article, I have wanted to include for some time now, which was written by Krsnacandra Prabhu and posted on his page Prabhupadvision.com. In light of our recent post entitled Sri Madhu Pandit’s Official Reply to the EC we feel it is timely, and of utmost importance to our society that we understand the issues. Although our page is not intended as a political forum, it is a tool in the mission of our spiritual master, for the propagation of The Hare Krishna Movement or Krishna Consciousness. Now that Śrīla Prabhupāda has named these representatives Temple Presidents may henceforward send recommendations for first and second initiation to whichever of these eleven representatives are nearest their Temple. After considering the recommendation, these representatives many accept the devotee as an initiated disciple of Śrīla Prabhupāda by giving a spiritual name, or in the case of a second initiation, by chanting on the Gāyatrī thread just as Śrīla Prabhupāda had done. Shortly after His Divine Grace A. C. Bhaktivedanta Swami Śrīla Prabhupāda entered into his Samādhi līlā in 1977; 11 of his senior disciples and members of the GBC who held the official position of representatives of His Divine Grace in 1st and 2nd spiritual initiations [as per July 9th Document], without authority and without an order by His Divine Grace announced themselves to be pure devotees of the Lord and forcibly seized the titles, roles and functions of acharyas and Initiating Spiritual Masters of ISKCON. In the ensuing struggle between the Devotees of ISKCON Bangalore and ISKCON Mumbi, it is this authors hope that both sides will try to work towards a brotherly reconciliation. Wherein both sides can find the common ground, which is faith in, and obedience to the teachings of Srila Prabhupada. Satsvarūpa: …Then our next question concerns initiations in the future, particularly at that time when you’re no longer with us. We want to know how first and second initiation would be conducted. Prabhupāda: He’s guru. He’s guru. Satsvarūpa: But he does it on your behalf. Prabhupāda: Yes. That is formality. Because in my presence one should not become guru, so on my behalf, on my order… Āmāra ājñāya guru hañā [Cc. Madhya 7.128]. Be actually guru, but by my order. Satsvarūpa: So they may also be considered your disciples. Prabhupāda: Yes, they are disciples. Why consider? Who? Tamāla Kṛṣṇa: No, he’s asking that these ṛtvik-ācāryas, they’re officiating, giving dīkṣā. Their… The people who they give dīkṣā to, whose disciple are they? Tamāla Kṛṣṇa: They’re his disciple. Prabhupāda: Who is initiating. He is grand-disciple. So it is plain to see that those giving diksa would be acting as officiating acaryas, and those receiving diksa from them would be their disciples. It is the duty of the GBC to create the post of Officiating Acarya so that we may all be properly connected to the disciplic succession. “Who is Initiating” refers to the Officiating Acarya who is giving diksa, and those who receive diksa are his initiated disciples and Srila Prabhupada’s grand-disciples. That’s clear. (However that instruction was never followed). The GBC must create the post of “Officiating Acarya”, and all the ISKCON gurus would be considered as such, as it should have been since the time of the famous July 9th Letter. This I think, would be the beginning of the much needed reconcililation, and cure many of the ills of our society. The following is the Synopsis of the System of Initiation as applicable to the ISKCON Bangalore group of temples and could be incorporated into mainstream ISKCON very easily. This is a continuation from our previous posts, The Spiritual Master some time ago, and the further discussion in The Spiritual Master (Part 2) This is a fascinating account by Sriman Locanananda Prabhu revealing his insights into the ‘guru issue’ in our ISKCON society today, from his own personal understanding, and his realizations of the instructions given by Srila Prabhupada shortly before his untimely departure. Our obeisances to him for sharing his personal recollections and realizations. [Note: some of the other comments were edited out so as not to distract from Locanananda Prabhu’s train of thought. You can follow the entire stream of comments by going to Prabhupada News As I stated, this is a fascinating account, however, this does not necessarily reflect our views on the ‘guru issue’. But Locanananda Prabhu makes a very well stated argument, and we are in complete agreement with his assessment that “success in spiritual life, means following the instructions of the spiritual master”. … the next step is to find a way to convince others of Srila Prabhupada’s actual intention in laying out a ritvik initiation system. It was not to end the parampara with himself as the last guru in our line. It was not to push aside what he himself referred to as the “law of disciplic succession.” It was to introduce a method by which millions of souls throughout the world could be initiated into the society of vaisnavas and attain the mercy of Krishna and the previous acaryas on their journey back to Godhead. …everyone is taking shelter of Srila Prabhupada and receiving transcendental knowledge, but they are receiving so much more. By his grace, we will be able to enter the spiritual abode and interact with Krishna face to face. Without pleasing Srila Prabhupada, one cannot even make one iota of spiritual advancement. The point made here is that one should think that upon his disappearance from our visual perception, the spiritual master has returned to Goloka Vrindaban. What he has left behind is the legacy of the temples he established, the Deities he installed and the body of instructions he imparted. By his inconceivable mercy, Srila Prabhupada, while residing in the abode of Krishna, continues to bestow his blessings upon us. As disciples, we should make every attempt to end the cycle of birth and death by preparing ourselves through the purificatory process of devotional service to go back to Godhead so as not to oblige the spiritual master to come back to this world to deliver us. Interviewer: The issue of initiations in ISKCON has divided devotees for several decades and appears to have evolved into a schism. What is your personal perspective on this issue? 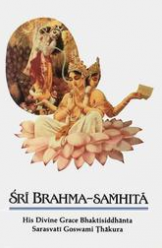 Locanananda dasa: When I was President of the Amsterdam temple in 1977, I received a copy of the Summary Report of the GBC meetings held in Vrndavana that year from the 27th through the 29th of May. 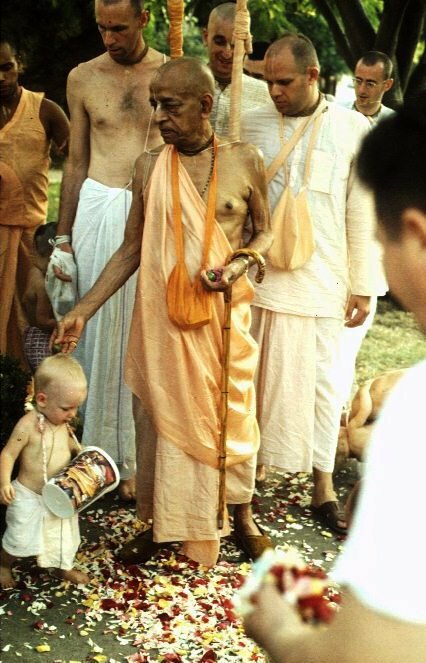 In that report, two of the three questions Srila Prabhupada answered on May 28th were included, but the answer to the question about future initiations was not. A few weeks later, I received a copy of the July 9th letter explaining the new initiation protocols. It didn’t seem as if much had changed. 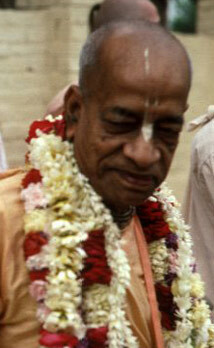 Initiations would resume despite Srila Prabhupada’s ongoing illness. The letter also addressed the selection of “rittik” representatives of the acarya and referred to the May 28th meeting with Srila Prabhupada, but there was no detailed explanation as to how the two were connected. We were really left in the dark for years as to what instructions Srila Prabhupada had actually given the GBC as a mandate for future initiations. Interviewer: Would you say it was a cover-up and hijacking of the movement? This is an older article, and rather long, but is full with information, quotes, and insightful analysis, on the most important issues, facing our society, concerning guru tattva, and following the instructions of Srila Prabhupada. Many good quotes and a highly recomended read! He called those disciples who performed the initiation ceremonies ritvik representatives of the acharya (officiating acharyas). Below are quotes directly from Srila Prabhupada for the evidence of these intructions as well as explanations, philosophical insights, and historical background. 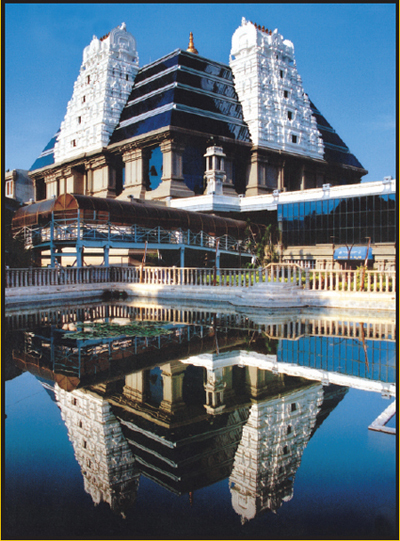 Madhu Pandit Prabhu and the devotees of ISKCON Bangalore are intelligent devotees and are dedicated to Srila Prabhupada. I think there is no one who would disagree with this. On any metric you want to take, the ISKCON Bangalore Group is very successful in following the instructions of Srila Prabhupada. They have huge book distribution, prasadam distribution, a wonderful standard of Deity worship, very dynamic preaching programs, very good management, sincere devotees completely dedicated to strictly following the four regulative principles, chanting at least 16 rounds of the Hare Krishna mantra daily, rising before four every morning to attend the Mangal Aroti and being fully engaged 24 hours a day in serving Srila Prabhupada and Krishna. So why is it that ISKCON is so intent on getting control over the ISKCON Bangalore Group, even though they know it is not possible really, unless the temple devotees are on their side? And the temple devotees are not on their side — they are Prabhupada men and ISKCON says: “Prabhupada is dead — you need a living guru.” So there is no way they are going to agree with ISKCON/GBC. ISKCON claims they are trying to eject Mahu Pandit Prabhu from ISKCON Bangalore because of a philosophical deviation, but we have examples in the past where ISKCON temples have separated themselves from ISKCON and have followed a path different from the one chalked out by the GBC. Srila Prabhupada created ISKCON for his disciples and it is really only going to work for his disciples. There is no history of a group of gurus living together and having all their disciples together. Even the Goswamis in Vrindavan, they were coming together for kirtans but they all had their own separate temples and disciples. A short while back I read an interesting article written by Madhuvisa Prabhu, and posted by Rochan Prabhu on his site Sampradaya Sun. The article was entitled Evidence and Clarification. We are posting some of it here. “…But as far as the facts are concerned it is certainly a fact that Prabhupada established a ritvik initiation system in ISKCON in the early 70’s where he would appoint representatives to perform the fire yajnas for his disciples on his behalf. And it is a fact that he gave these “ritviks” more power as the years went on, and in the July 9th letter, he gave them complete power to accept disciples on his behalf and chant on their beads and give them a name, without having any physical involvement in the matter at all. It is also a provable fact that Srila Prabhuapda did not consider that any of his disciples were qualified for the position of acharya. And therefore it is very reasonable to say that Srila Prabhupada did not appoint any successor acharyas. I was just listening to one of the 1977 conversation tapes a couple of days ago and Srila Prabhupada told Tamal that the problem is among his disciples there is no strong man. He said they are all like children and among all Ramesvara may be the best. The same thing is there in other places where Prabhupada is clearly stating that his disciples are immature and not qualified for the post of acharya. So it is a fact that the system Srila Prabhupada used in ISKCON to accept disciples in him physical presence was ritvik, 100% ritvik in the later years. And we can say it is a fact that he did not appoint any successor acharyas. Even Tamal confirms this in his Topanga Canyon talks. He says clearly that Prabhupada only appointed ritviks. Some time back I was reading and article on the Prabhupadanuga News and I ran across this comment posted by Pandu Prabhu. I thought it relevant today, so I am posting it. It is some good information on the word “ritvik”. Also enclosed at end of post is the link to original article. Since Srila Prabhupada himself Coined the term “Ritvik”, it is very offensive to Srila Prabhupada, to denounce this term. The attempt of certain persons to degrade the transcendental Vedic term “rtvijah” or “ritvik” to a derogatory word is one more example of offenses that have entered Iskcon due to our neglect of Srila Prabhupada’s advice. In Vedic culture, a ritvik is an exalted priest. Such priests were often endowed with siddhis and respected as gurus, yet they never pretended to be as good as Lord Hari. By the order of the Acarya, the rtvijah recites the mantras that request the presence of Lord Visnu in the fire of Vedic sacrifice (agni-hotra), and he then makes offerings to the Supreme Lord according to Vedic sastra. The rtvijah performs an exalted function. He is a pure brahmin or Vaisnava who is never concerned about the political correctness or convenience of his stance. Srila Prabhupada: Yes. I shall recommend some of you. After this is settled up I shall recommend some of you to act as officiating acarya(s). Tamal Krishna: Is that called ritvik acarya? In these documents we find words such as “ritvik”, “continue” and “future” which, along with the word “henceforward”, all point to the permanency of the ritvik system. There is no statement from Srila Prabhupada that even hints that this system was to terminate on his departure. In Srimad-Bhagavatam (8.16.53), Srila Prabhupada defines “ritvik” (rtvijah) as “the priests recommended by the spiritual master”. In this instance ritviks are defined as the deputed priests of the spiritual master. 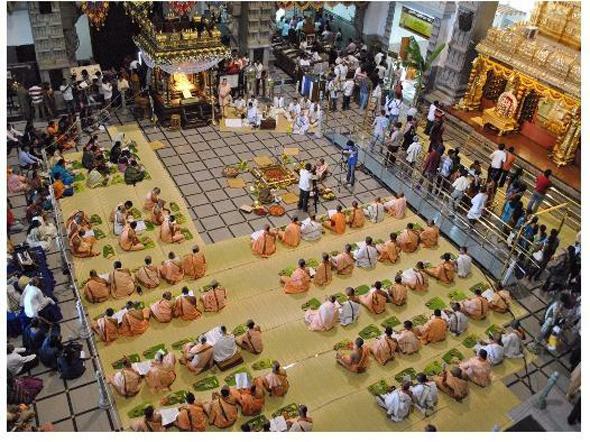 They preside over a Vedic ritual meant for the worship of Lord Visnu (visnu-aradhana). 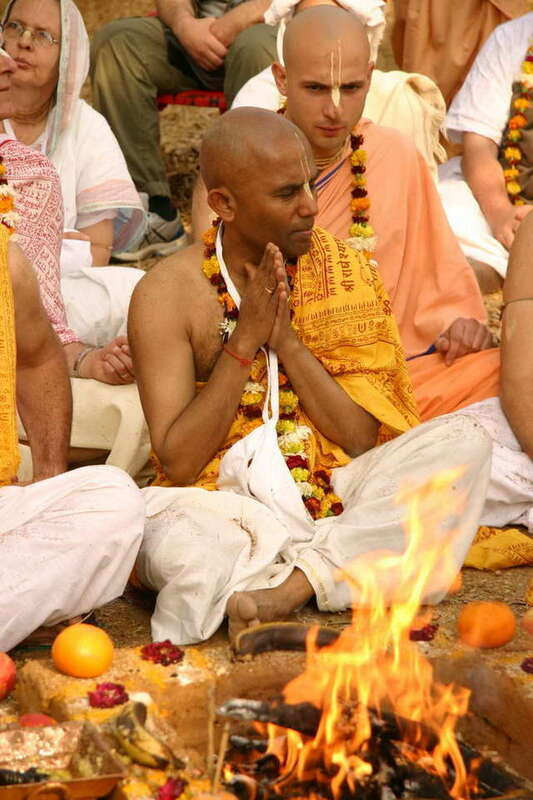 The initiation ritual observed in ISKCON is a standard Vedic ceremony, and it may be performed by ritviks, who officiate on behalf of the Acarya. This communication is aimed at bringing into focus the core issue behind the current dispute between Iskcon Bangalore and Iskcon Mumbai, As a customer, donor, supplier, banker, faculty, consultant, employee or any other stakeholder in ISKCON Bangalore society, we believe you should be informed about the factual position of both disputing parties and be reassured about the safe guard of your interest in your relationship with ISKCON Bangalore. From the time, His Divine Grace A.C.Bhaktivedanta Swami Prabhupada, reverentially addressed as Srila Prabhupada, founded ISKCON in New York in 1966, ISKCON grew into a large, transnational organization spanning many countries, having 108 centers and more than 10,000 members, in a matter of 10 years. This was due to the immense spiritual stature and vision of our Founder Acharya, Srila Prabhupada. 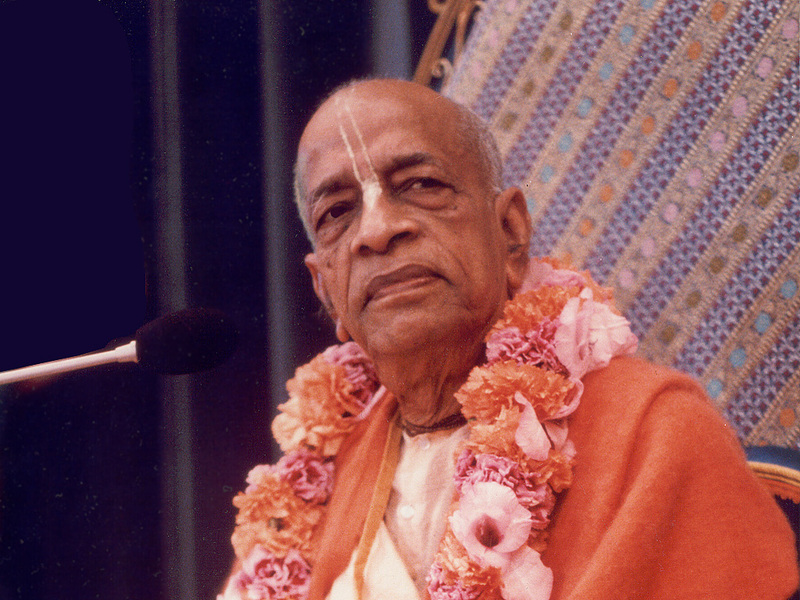 While the growth of the organization was impressive, in 1977, just prior to Srila Prabhupada’s leaving this world, it was a young organization and most of the members and devotees, mainly westerners, had not developed the required spiritual stature, knowledge, realization, immense purity and gravity that is required to occupy the post of his spiritual successor, as an “Acharya”. 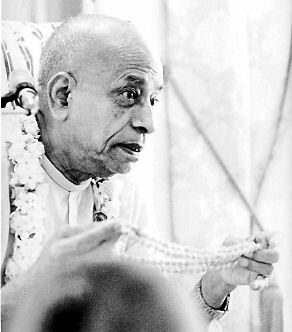 It is a matter of undisputed evidence that several of the GBC members approached Srila Prabhupada on May 28th 1977 with a set of questions to be asked to him. One such question was, how first and second initiation would go on particularly when he was no longer with us. 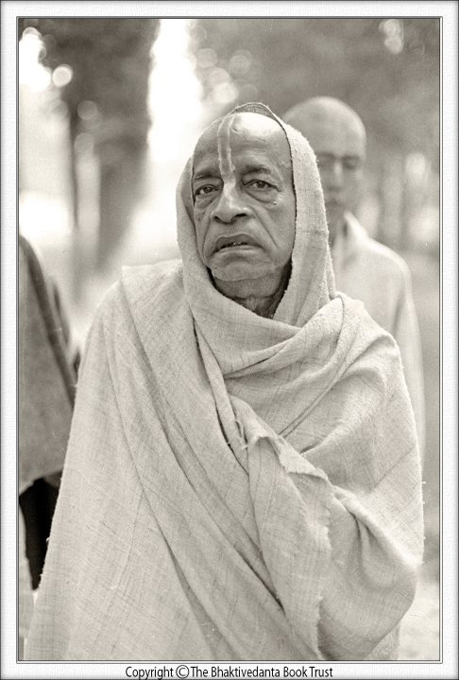 Srila Prabhupada’s immediate reply was, “I will appoint some of you to act as Officiating Acharya.” And to this HH Tamal Krishna Maharaj said, “Rtvik Acharya?” and Srila Prabhupada said, “Rtvik, yes”. This is Guru Mukha Padma Vakya. Devotee: Srila Prabhupada, if the knowledge was handed down by the saintly kings, evam parampara-praptam, how is it that the knowledge was lost? The endless controversy over whether Prabhupada appointed gurus, acharyas or rittvik deputies can be satisfactorily concluded by pointing out that Prabhupada left written instructions. Srila Prabhupada left a last will and testament. He left a BBT document regarding the continued publication of his books. He left a GBC document outlining how the movement is to be managed. And he wrote a letter on July 9, l977, appointing ll senior devotees as rittvik gurus, officiating deputies, to continue the process of initiating new members on behalf of ” the Founder- acarya ” Srila Prabhupada . All the men named in that letter already had been doing these rittvik initiations on Prabhupada’s bellalf for a number of years. 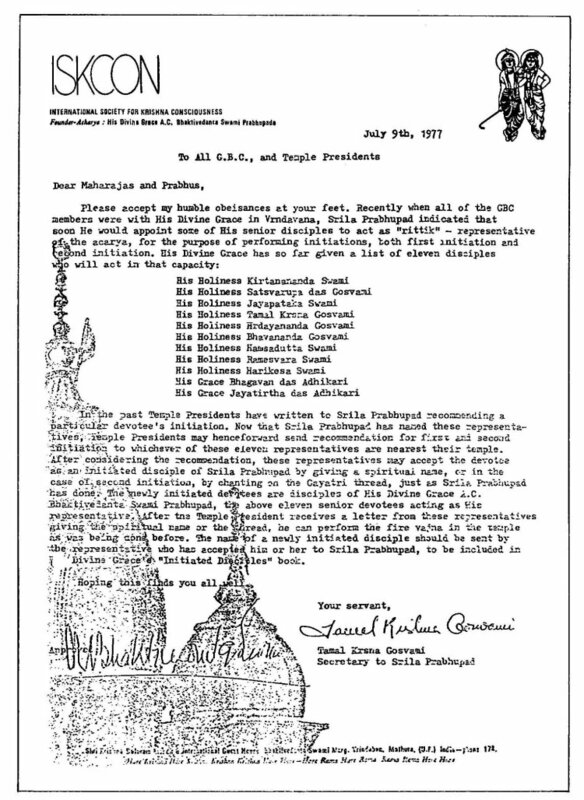 Therefore, there was no need for Prabhupada to write an official letter in this regard, save and except to make it clear that these senior disciples should perpetuate the rittvik responsibilities they were already performing in the future, as in the absence of Srila Prabhupada, which at that time was apparently very near at hand. 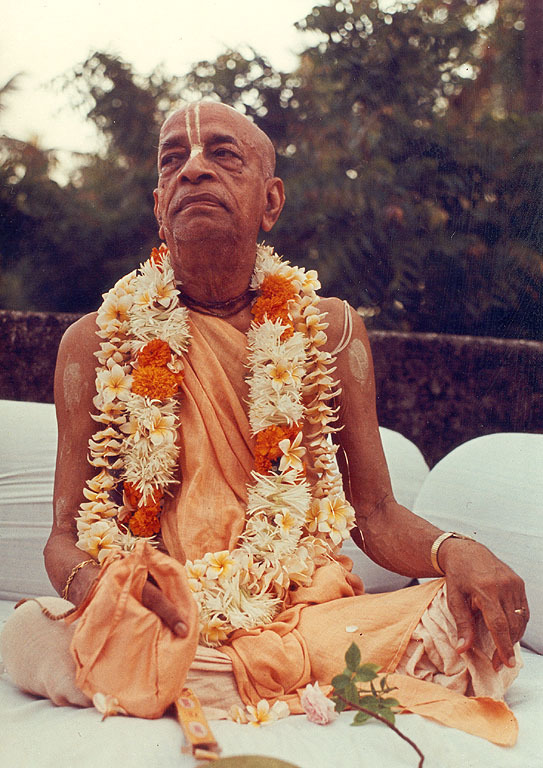 During what Srila Prabhupada thought might be his final days, he summoned his GBC representatives from all over the world to come to his bedside in May of 1977. 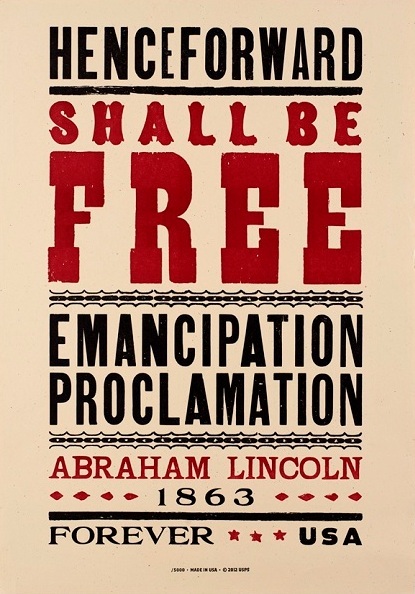 He was about to pronounce his final instruction concerning how the movement should be expanded after he was no longer physically present to oversee things. When he was specifically asked how initiations would be performed in the future, he replied that he would recommend some of his GBC men to act as officiating acharyas in his absence. This was a momentous pronouncement. He was going to create the post of officiating acharya by naming some of his disciples to initiate on his behalf. They would actually be gurus, but would act as representatives of the acharya in initiating members into Srila Prabhupada’s movement after His Divine Grace had left this world. 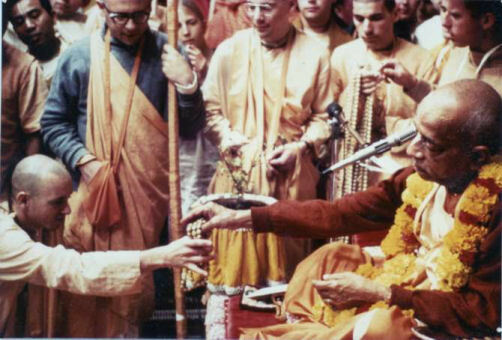 Although everyone present said that this instruction was understood, in the twenty-one years since this revelation, not a single ISKCON guru has called himself an “officiating acharya”. This has produced a contrary result. 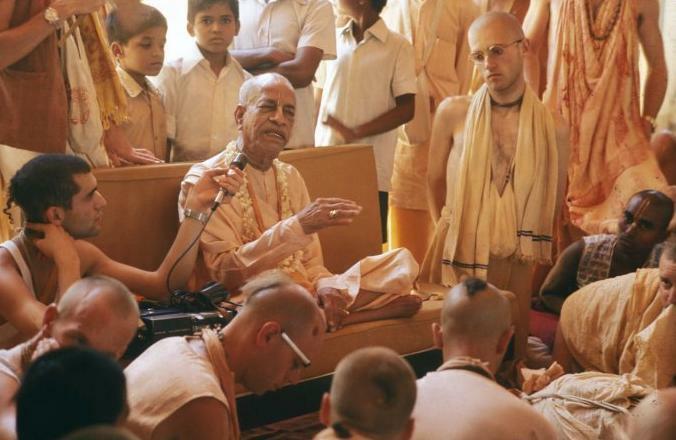 To resolve the conflict and ongoing debate between the proponents of “ritvik” initiation and ISKCON’s official interpretation of Srila Prabhupada’s instructions, we must find a common denominator upon which both parties can agree. That one camp is ready to excommunicate or overthrow the other is causing a massive headache in the minds of peaceful devotees everywhere. With the greatest urgency, the fracture in our movement must be healed before it becomes a permanent schism. To avoid causing further embarrassment to our spiritual master, and to protect innocent devotees and well-wishers of the Krishna consciousness movement from the devastating effect of our fratricidal follies, all followers of Srila Prabhupada should stop their sabre rattling and calmly consider how to resolve their differences. “So I cannot speak. I am feeling weak. I was to go to other places like Chandigarh, but I canceled the program because the condition of my health is very deteriorating. So I preferred to come to Vrindavan. If death takes place, let it take here. So there is nothing new to be said. Whatever I have to speak, I have spoken in my books. Now you try to understand it and continue your endeavor. Whether I am present or not present, it doesn’t matter. As Krsna is living eternally, similarly, the living being also lives eternally. Srila Prabhupada arrived in Sri Vrindavan Dhama on May 17th 1977 to prepare to ‘leave his body.’ He made all of the arrangements for the future of his movement. He formed his Will, the Temple Property Trusts, he gave instructions for the Bhaktivedanta Book Trust and the GBC and he established his initiation system for the future of ISKCON. Due to some unseen good fortune I got the opportunity to serve Srila Prabhupada, at that time. Actually, I began to personally serve him in Bombay as one of his guards and then went with him to Hrsikesh to ‘regain his failing health’ on the advice of one of the life members, Mahadevia Kartikeya. Things were like heaven in Hrsikesh serving Srila Prabhupada. We were staying in a two story house right on the bank of the Holy Ganges River. We had the best Jalebi maker (Vedic sweets) in the world, according to Srila Prabhupada, right across the street. We used to have fruit, yogurt and hot Jalebis for breakfast. Srila Prabhupada said that hot Jalebis could cure the common cold. I used to enjoy taking Japa Walks in the Himalayan Mountains. The forests are lush, filled with singing birds, and wandering devotees. Some Shivite’s live in the cave’s and only leave to bath in the Ganga. They eat only what is offered to them. 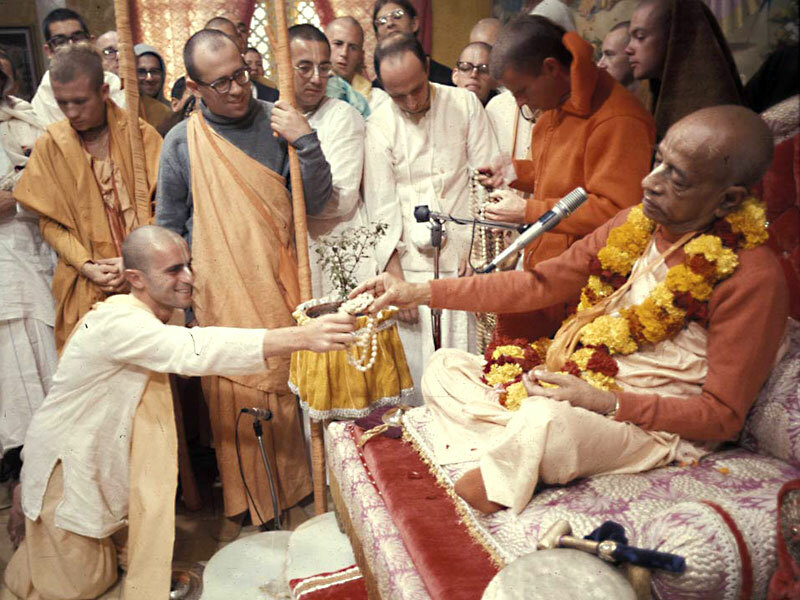 Srila Prabhupada never created any special status for “officiating acaryas.” Their function as ritivks is to assure that Srila Prabhupada requirements are met before a student is formally accepted for initiation in ISKCON. Like all senior initiated disciples, they are meant to be teachers by their practical example. 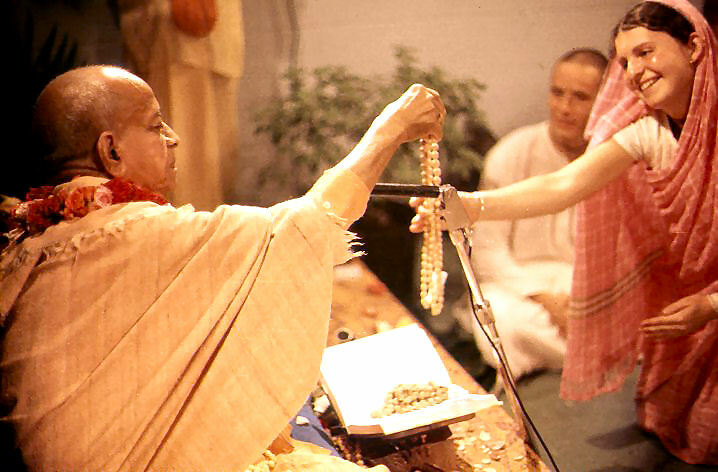 They have accepted an added responsibility, an added burden on behalf of Srila Prabhupada. 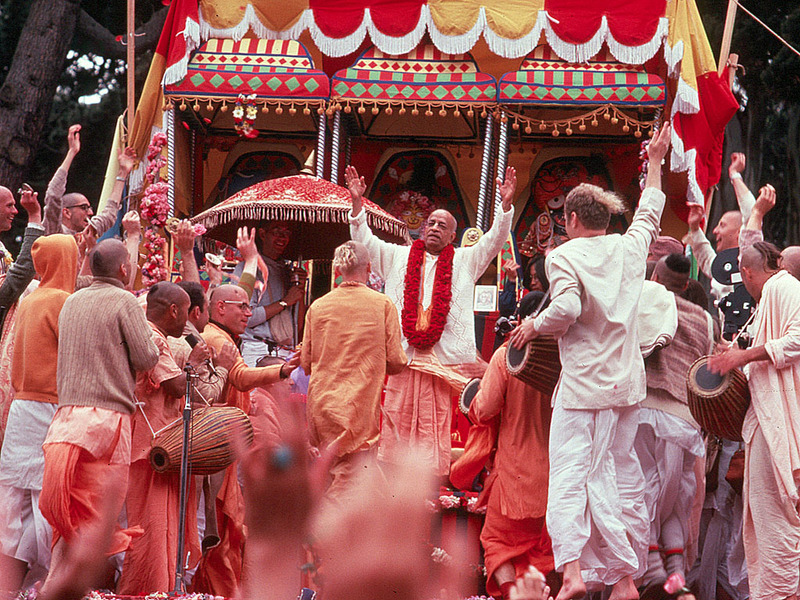 Their burden is to assure that Srila Prabhupada’s standards for initiation are preserved in ISKCON. (Srila Prabhupada’s July 9th directive sent to every leader in ISKCON mentions three times that all devotees are Srila Prabhupada’s disciples and that the deputed ritviks offer initiation on behalf of Srila Prabhupada. This same instruction was repeated by Srila Prabhupada several times additionally after July 9th in letters, documents, and instructions.) Ritviks are the priests authorized by the spiritual master or his institution to accept students on behalf of ISKCON and Srila Prabhupada. Srila Prabhupada made this perfectly clear. This understanding of the procedure Prabhupada prescribed is consistent with references to ritviks mentioned in Srila Prabhupada’s books. EDITORIAL, Nov 13 (VNN) — Currently the term “ritvik” is used to refer to 1.) devotees of a particular camp, 2.) the ideas and convictions of “ritvik” devotees, and 3.) the “officiating acarya” who initiates on behalf of the spiritual master. I will try to offer guidelines for understanding the word “ritvik” according to Srila Prabhupada and the current usage among devotees. Please accept my blessings. I beg to acknowledge your requests for initiations of devotees at New Vrindaban, contained in your letter of December 30, 1973. You may chant on their beads and instruct them seriously to always chant at least 16 rounds daily and obey the regulative principles. Only in this way is spiritual advancement possible. Your recommendations for second initiation, Taru das, Radhanath das and Parambrahma das are accepted by me and their sacred threads and gayatri mantras are enclosed. See that they hear the mantra from the tape I have made, and have them hear it in their right ear. Give them further instructions on standards of a Brahman. Thank you for the daksina check for one hundred dollars. Go on developing New Vrindaban: next month I am coming there. Is my apartment completed? 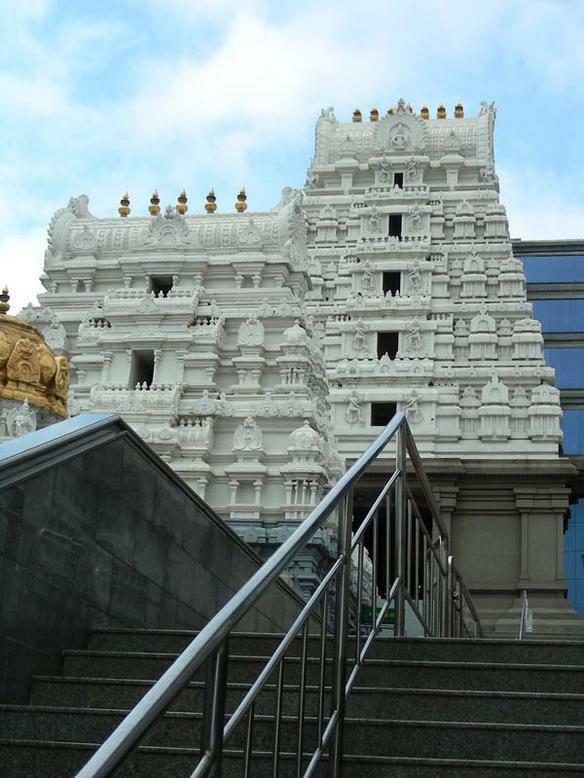 May 26, NEW YORK — Interviewer: The issue of initiations in ISKCON has divided devotees for several decades and appears to have evolved into a schism. What is your personal perspective on this issue?